Directorate of Distance Education, Kurukshetra University, Kurukshetra. University College of Education, K.U. Kurukshetra. SL DAV College of Education, Ambala City. SNS College of Education for Women, Yamuna Nagar. Dr.Ganesh Dass DAV College of Education for Women, Karnal. The Directorate is providing two-year B.Ed. programme with the approval of NCTE for the benefit of working teachers in schools and other educational institutions. The Candidate has teaching experience certificate not as per specifications prescribed by the Directorate (For B.Ed. Part-I only), his form will be rejected. Important dates for Kurukshetra University B.Ed. Distance Education 2018 – 2019 are given below. The candidates are advised to go through the Prospectus carefully before filling up the admission form. They should also remain vigilant and get in touch with the Directorate in case of non-receipt of study material, admit card/roll number, examination date sheet, result/DMC, etc. The candidates must follow other instructions issued from time to time by the Directorate. Admission fees/dues are to be deposited only on demand from the Directorate after the declaration of merit list and finalization of admission. Admission Form and Computer Form etc. attached with this Prospectus duly filled in and signed by the candidate and father/guardian may be submitted to the Directorate alongwith other required documents. The candidates are required to submit fresh admission forms/fees and all other documents, on promotion to next higher class (Part-II) of the course next year. 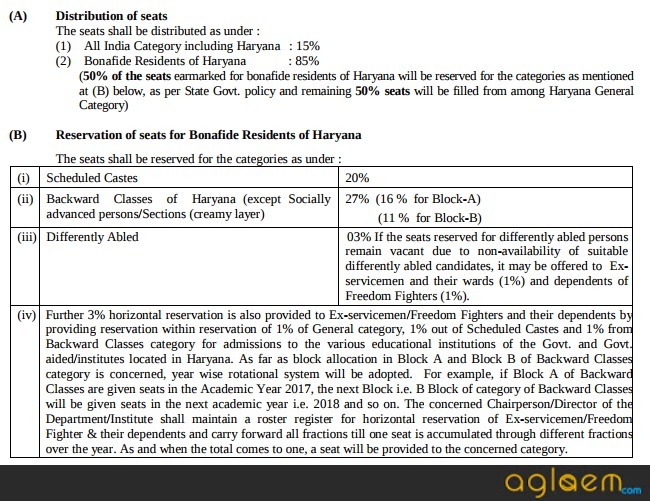 Bachelor/Master’s degree from a recognized University with atleast 50% marks in aggregate (47.5% in case of SC/ST/Blind/Physically Handicapped candidates) OR 55% in case of BE/B.Tech (52.25% in case of SC/ST/Blind/Physically Handicapped candidates) as per directions of Hon’ble Supreme Court of India. The Teaching Experience Certificate will be accepted only on the prescribed proforma. In case a candidate has served in more than one Institution (with/without break), he/she should use the photocopy of this proforma for submitting the teaching experience certificates for each institution of service. 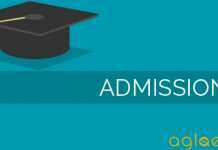 The candidates seeking admission in B.Ed. 1st Year should ensure to submit proof of Teaching Experience in a school/other educational institutions duly certified by Headmaster/Principal on the prescribed format. There will be no rounding off the percentage of marks for determining the eligibility for admission to B.Ed. course. 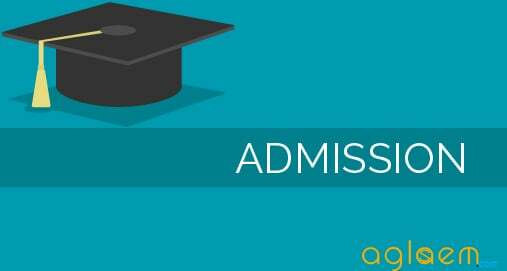 Admission dues to be paid only after confirmation of admission and on demand from the Directorate after finalization of the merit list for admission to B.Ed. Part-1st. A candidate who has passed B.Ed. Part-I examination of this University shall be eligible to join Part-II class in the Directorate of Distance Education. The students of B.Ed. (2-Year) course having 2-years duration enrolled with this Directorate for the session 2014-15 and have appeared in the examinations held in May/June 2015 but could not clear 50% papers of B.Ed. Part-I examinations may also be provisionally allowed to join B.Ed. Part-II of the course by paying an additional fee of Rs. 500/- per deficient paper payable to the University at the time of admission subject to clearing the remaining papers of B.Ed. Part-I examinations in the permissible number of chances. B.ED. (2-YEAR) PART-I There shall be nine Paper Courses. Paper Course-1 to 3 & 6 will carry 100 marks each. Paper Course 4 having two parts (A+B) of 50 marks each as well as Paper Course-12 (EPC-I & EPC-3) will also carry 50 marks each respectively. However, Paper Course 13(A) will be of 175 marks. For More Information of Kurukshetra University B.Ed. Distance Education refers to the 2017’s – Information Brochure. 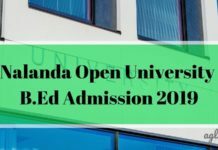 Insofar, official details of Kurukshetra University B.Ed. Distance Education 2018 have not been announced. Information on this page is as per last year brochure and for reference purpose only. As soon as Kurukshetra University releases Kurukshetra University B.Ed. Distance Education 2018 information brochure, details will be updated here.